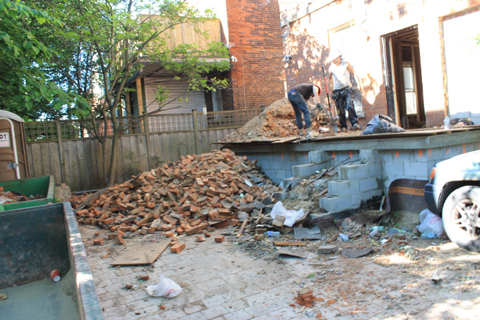 Demolition Contractors Toronto: Sometimes, you need to demolish something before you can create something new. 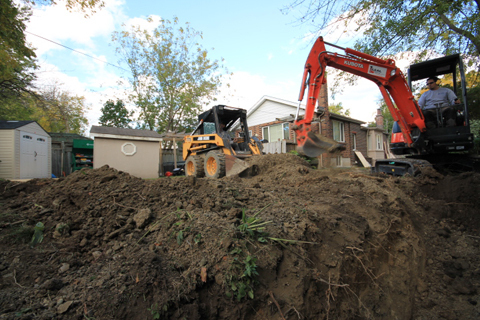 Whether you’re planning to build a new home where your existing house sits, or you’re a developer with a developed tract of land, trust the Demolition Contractors Toronto at Integrity Contracting to remove all unwanted structures quickly, efficiently, and safely. We’ve built a stellar reputation around Toronto for doing excellent work on a diverse range of projects, delivering top-quality results on time and within budget, every time. This is as a result of our commitment to completing every job to customer satisfaction, making sure we leave a clear path for your builders to create the dream home you’ve been planning. No matter how big or how many, Integrity Contracting will remove any unwanted structures with minimal impact to the environment. A proper demolition process involves more than just breaking down a building. There are many aspects to demolition that can be confusing, frustrating, and time-consuming. Safety Standards – Demolition can be complicated and potentially dangerous work. We only employ fully trained and bonded professionals who meet or exceed the Government of Ontario‘s Occupational Health and Safety Act practices as they apply to the project. Professional-Grade Equipment – We only use the best available equipment for every project, including excavators, dump trailers, skid steers, reciprocating and circular saws, jackhammers, drills, and air cleaners. Only qualified demolition professionals operate our heavy-duty equipment, ensuring that safety and efficiency are top of mind at all times. Responsible Debris Removal – Demolition is a messy business, and creates a large amount of debris. This includes building materials, rocks, dirt, and organic waste such as trees and shrubs. We dispose of this debris for you in a safe, sanitary, and environmentally responsible manner at no extra cost. When demolition is necessary to start building, we have the best Demolition Contractors Toronto, equipment, and experience to complete the project quickly, efficiently, and to your complete satisfaction. Every time. Start the process to building a new home by using the professional, reputable demolition contractors at Integrity Contracting. Call us today at 647-738-4395.